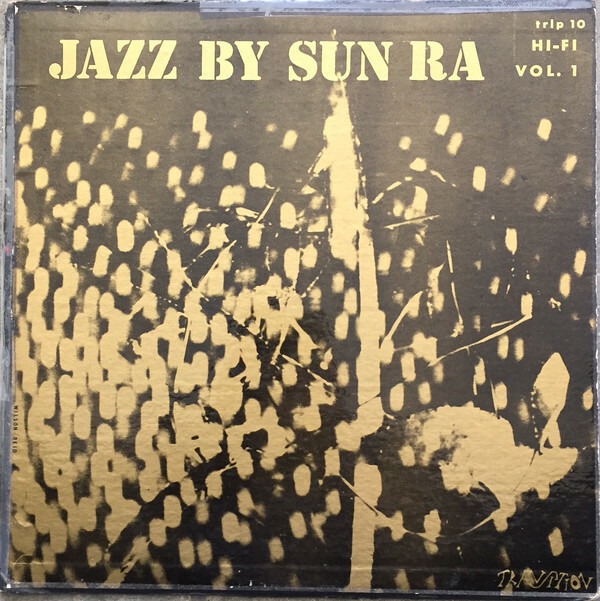 Sun Ra-Jazz By Sun Ra Volume 1. During a career that spanned six decades, it’s estimated that Sun Ra released around 125 albums. This includes Jazz By Sun Ra Volume 1 which was released by Poppydisc for Record Store Day 2016. 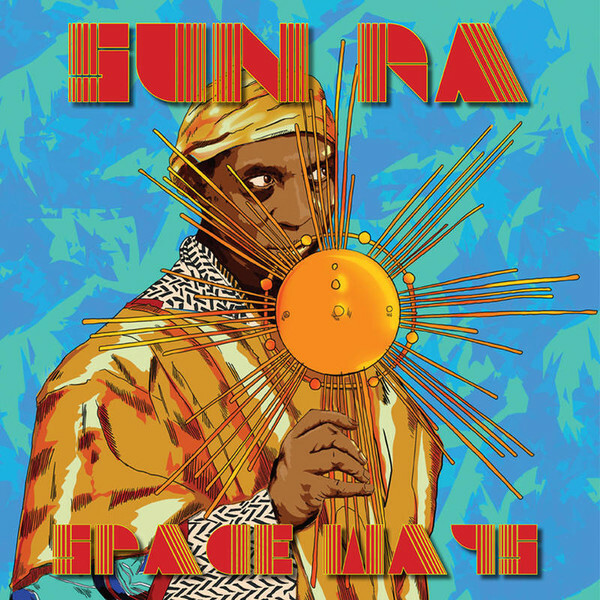 It was one of three Sun Ra albums released for Record Store Day 2016. Jazz By Sun Ra Volume 1 is quite different from the other two albums. It’s a studio album that was recorded at Universal Recording, Chicago, on July 12th 1956. Back then, the enigmatic bandleader was leading a multitalented and versatile eleven-piece band. They showcased Sun Ra’s musical philosophy which took shape after a life-changing experience in 1937. Sun Ra claimed he had been transported to Saturn, where he spoke to the Angel Race. They warned him the world was heading for chaos and Sun Ra could make a difference with his music. That is what Sun Ra decided to do. His music became a fusion of Egyptian history, space-age cosmic philosophy and free jazz. To this, Sun Ra added post bop on Jazz By Sun Ra Volume 1. This ensured that Sun Ra’s music stayed relevant. That was always the case. Sun Ra was always one step ahead of other musicians, who musically, he left trailing in his wake. An example of this is Jazz By Sun Ra Volume 1, which is album of ambitious, inventive and innovative music from a man who would become a giant of jazz, Sun Ra. Last year, Strut Records reissued Sunburst’s Ave Africa as a two CD set. The original album features on disc one, while disc two features singles Sunburst released between 1973 and 1976, plus unreleased radio sessions. This makes Ave Africa the most comprehensive reissue of Sunburst’s music. Sunburst were formed in war torn Tanzania in 1970. They started life playing cover versions, soul and funk at weekly boogies. These were weekly soul events which proved popular. Gradually Sunburst’s music evolved and this lead to Sunburst pioneering the Kitoto Sound, which reflected the different backgrounds of the band. Then in 1973, Sunburst released their first single. Three years later, a different lineup of Sunburst, which featured musicians from six different countries recorded their one and only album Ave Africa in Zambia. Ave Africa featured songs full of social comment that spoke to, criticised and provided a voice for the ordinary people. Meanwhile, Sunburst’s music’s was a mixture of Afrobeat, folk, funk, soul and rock. Especially with horns and strings accompanying the rhythm section, percussion and vocals. This was a potent and heady brew. And one that looked as if it transform the fortunes of Sunburst. Alas, in 1977, the band split-up and it was the end of the road for Sunburst. There was no comeback for this once popular group. However, the memory of their music lived on. 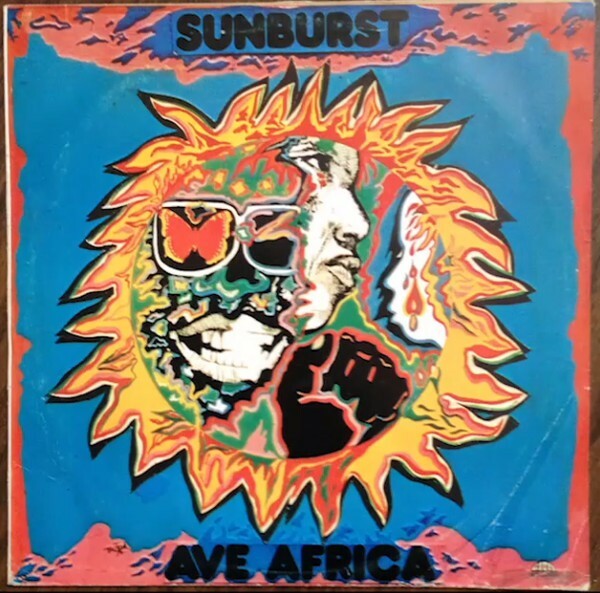 Nearly forty years later, Ave Africa was reissued as a double album and documents Sunburst’s entire recording career. When Sven Grünberg released Hingus in 1981, Eastern Europe was a musical hotbed. Each country had an equally eclectic and vibrant music scene. Much of it was underground, given the supposed anti-establishment nature of some of the music. This had been the case with Sven’s previous group Mess. However, after Mess disbanded, Sven reinvented himself as a composer for films, television and theatre. 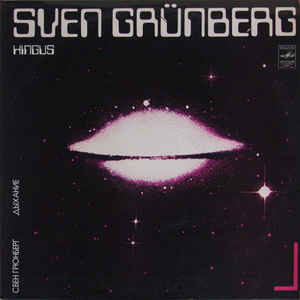 Then Sven’s decided to release debut solo album Hingus which was reissued by Bureau B. It was a fusion of ambient, avant grade, electronic, progressive rock and cinematic sounds, Hingus was a groundbreaking album. Sven Grünberg took the music from his past and present, and created music that could’ve been created in the future. Flower Of Light sounds like a lost track from The Orb or Underworld. It’s not. It was created by Sven thirty-six years ago and is a truly timeless and innovative track. That’s the case throughout Hingus. Throughout Hingus, Sven Grünberg pushes musical boundaries to their limits. In doing so, he creates music that’s variously cerebral, elegiac, ethereal, futuristic, hopeful, melodic and otherworldly. Other times, the music on Hingus is ambitious, bold and dramatic. Always, the music on Hingus is captivating and enthralling. That’s why Sven Grünberg’s debut Hingus deserves to be heard by a much wider audience who will appreciated the music of a true musical pioneer. 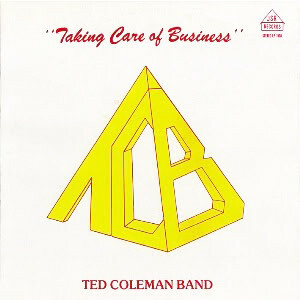 Ted Coleman Band-Taking Care Of Business-Vinyl. Terry Allen isn’t just a country singer, he’s a conceptual artist, sculptor and painter. By 1974 he also was associate professor at California State University. 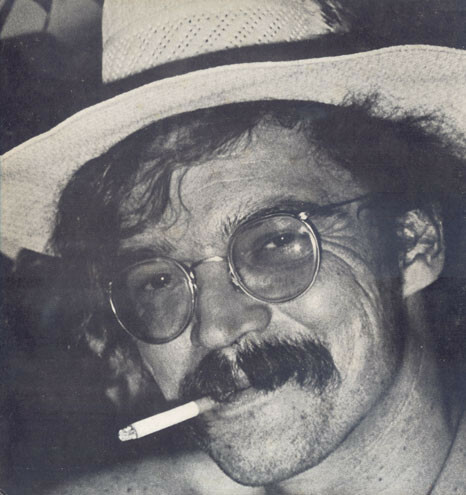 Despite juggling disparate careers, Terry Allen signed a recording contract in 1974, and in 1975, released his debut album Juarez . It’s an album of alt-country, where Terry Allens tells of “The Characters” motivations and desires. The characters are believable and three-dimensional, with a hard bitten, life is cheap attitude. Other characters have a seen it all, worldweary outlook. There’s a cynicism on Border Palace, while other characters are dysfunctional. A couple even become murderous, on The Run South. where Terry uses his Texan drawl to narrate the story of a drinking spree that ends up in murder, and a chase through the South Californian desert. Just like so many of the songs on Juarez, there’s a grittiness to songs that look at the dark underbelly of life on the wrong side of town. That’s the case throughout Terry Allen’s much anticipated debut album, Juarez which was reissued by Paradise Of Bachelors. Alas, commercial success eluded Juarez passed most critics by. The few critics who reviewed the album, were won over by this tale of life on the wrong side of the tracks in small-town America. It was one of the earliest alt-country albums, and would inspire and influence other artists. Despite commercial success and widespread critical elude Juarez, it belatedly found a new and appreciative audience. Tree years after the release of Juarez, Terry Allen returned to the studio to record his sophomore album. By then, Terry was still living in California, and was now a professor at California State University, Fresno. Terry’s art career was blossoming, and his reputation was growing. He had also been writing a new album of songs Lubbock (On Everything). They were based around the Texan town where Terry and his wife Jo Harvey grew up. All these years of observing and people watching had given Terry a wealth of material for his sophomore album. He had written twenty-one songs about the people of Lubbock. They would become Lubbock (On Everything), an insightful album into human nature in small town America. They were recorded this time around, by a full band. 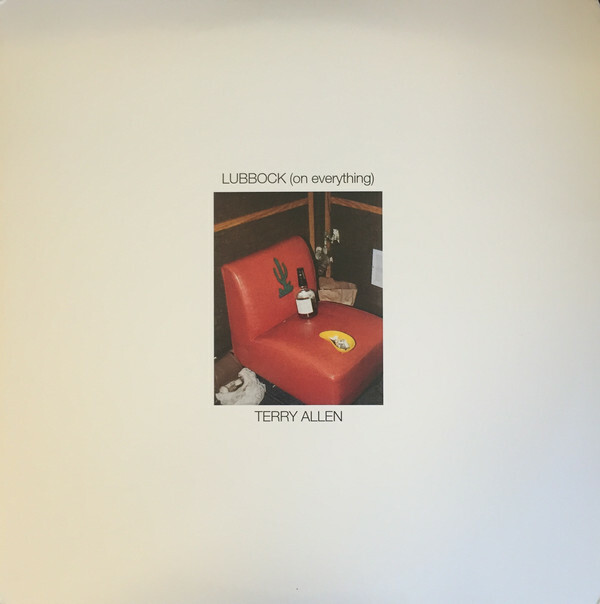 Sadly, when Lubbock (On Everything) was released as a double album in 1978, it was a familiar story for Terry Allen. The album failed to make any impression on the charts. Again, a few critics went into bat for Lubbock (On Everything). 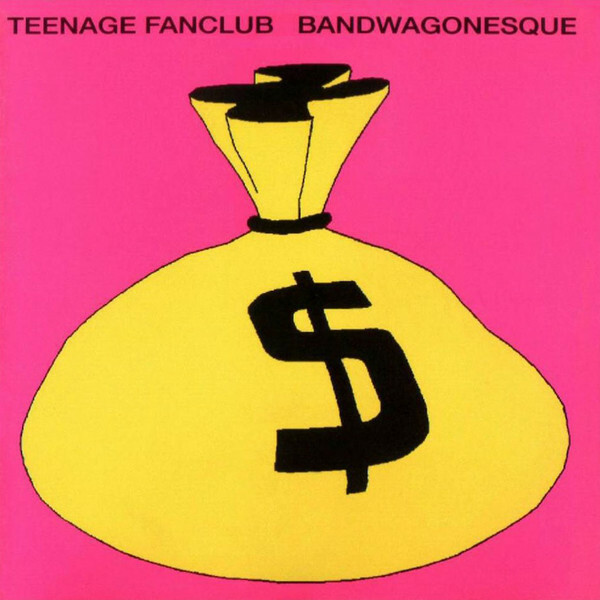 They regarded it as be a carefully crafted and accomplished album of insightful, cinematic and cerebral songs. These songs introduced the listener to three dimensional characters. However, the only problem was that when Lubbock (On Everything) was released, it was the height of disco bubble. Neither albums of alt-country nor country music were what record buyers were looking for. Not even ones as good as Lubbock (On Everything), which nowadays, is a cult classic which was reissued by Paradise Of Bachelors during 2016. 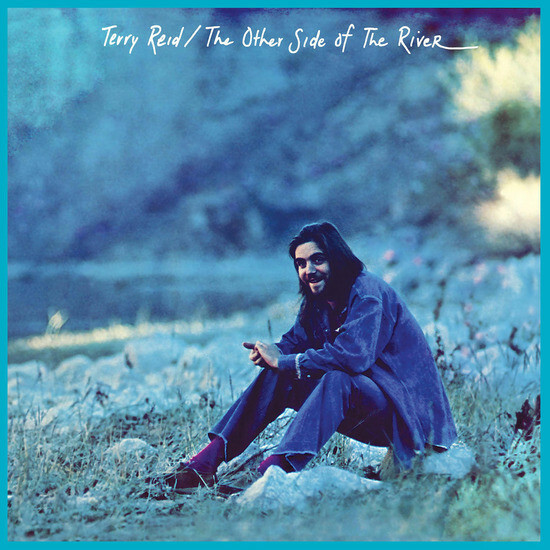 For many people, Terry Reid is music’s nearly man. He could’ve been the lead vocalist of two of the biggest rock bands in musical history. Sadly, that wasn’t to be. Tnstead, Terry Reid decided to concentrate on his solo career which began in 1968. Among the highlights, are the instrumental Sabyla and beautiful, understated ballads like Listen With Eyes and Anyway. A couple of songs are work in progress, and it would’ve been interesting to see what they might have become if Terry Reid had developed them further. They’ve bags of potential. Then on Let’s Go Down and Avenue (F# Boogie), Terry plays with his trademark looseness and spontaneityTerry takes his band on a magical mystery tour, as they improvise, switching between and combining disparate musical genres. That’s what Terry does on Country Brazilian Funk, where he and his band showcase their considerable talents. They continue to do this throughout The Other Side Of The River, which is the perfect companion to Terry Reid’s 1973 album. The Other Side Of The River. After enjoying a top ten single in the UK with a cover David Bowie’s Boys Keep Swinging in 1979, The Associates signed to Fiction Records. A year later, The Associates were due to release their debut album The Affectionate Punch on 1st of August 1980. This should’ve been the start of new chapter in The Associates’ career. Especially since The Affectionate Punch had been well received by critics. However, behind the scenes all wasn’t well. By the time The Affectionate Punch was released Michael Dempsey and John Murphy had left The Associates. This left just Billy McKenzie and Alan Rankine who would mastermind the rise of The Associates. That was still to come. When The Affectionate Punch was released, it failed commercially. The Associates mixture of new wave, pop and post punk seemed to pass record buyers by. Nowadays, though, The Affectionate Punch is regarded as a hidden gem within The Associates’ back-catalogue that was a taste of what was to come from Dundee band. ← THE BEST REISSUES OF 2016-PART 8.